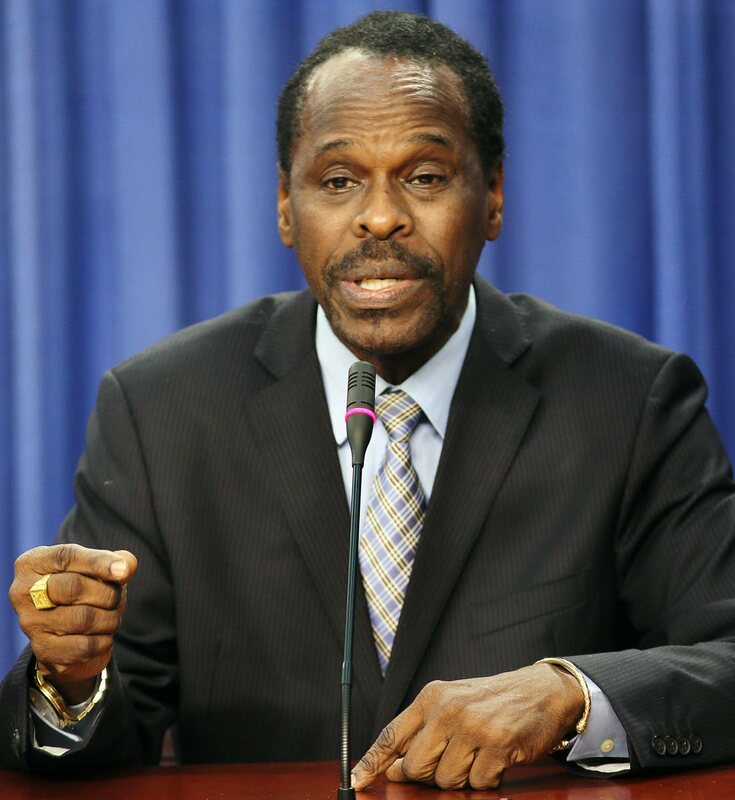 MINISTER in the Office of the Attorney General Fitzgerald Hinds on Friday introduced legislation to criminalise illegal occupation of homes and said there have been instances of senior citizens who have been told to "ride out" by criminal elements. He was presenting a ministerial statement on the Trespass (Amendment) Bill in Parliament. The bill introduced two new criminal offences: forcible entry (someone uses force, threats or intimidation to enter land or a dwelling house which is in lawful possession of another and attempt to expel the person and take possession) and forcible detainer (person who is unlawfully in any land or dwelling house maintains or attempts to maintain his possession or occupation." Both offences carry upon summary conviction a fine of $100,000 and imprisonment for 15 years. Hinds said over the years the constitutionally recognised and protected right of enjoyment of property and the right not to be deprived except by due process of law has been severely challenged "as law-abiding citizens and rent-paying tenants, even in the Housing Development Corporation's (HDC) apartments, and private home owners are chased out of and denied re-entry to their apartments and private dwelling houses by criminal elements, employing the 'bully-boy' tactics of intimidation and violence." He reported in one area in Port of Spain police officers and soldiers went to a number of HDC apartments and detained 15 people who were illegally occupying these apartments. "The brazen nature of these elements was exemplified when, a few weeks later, police conducted another similar exercise and again had to remove several of the same persons from illegal occupation of the said apartments." Hinds said he has heard reports of retired and senior citizens who work for their entire careers to acquire a home and have been chased out. "Cars firebombed, threats issued to flee or die. They are told – as they say colloquially – to 'ride out.'" Hinds said there are many instances of these incidents across the country. He added police often see these cases as civil matters and feel powerless to treat with them in the way good sense and justice demand. He said Government sought to address the unlawful situation and the Law Reform Commission (LRC) developed and draft legislation to teat with these instances. He explained this included a comprehensive review of TT's Trespass Act which last amended in 1936. He said the outcome of the exercise was the drafting of the Trespass (Amendment) Bill 2018 which was considered by the LRC and has been approved by Cabinet. Hinds said the bill also seek to modernise the archaic parent act and increase a number of the existing penalties. "The law here introduced is primarily designed to treat with a new anti-social/criminal behaviour in our society which the Government finds unacceptable." Reply to "Hinds: 15 years jail for trespass"